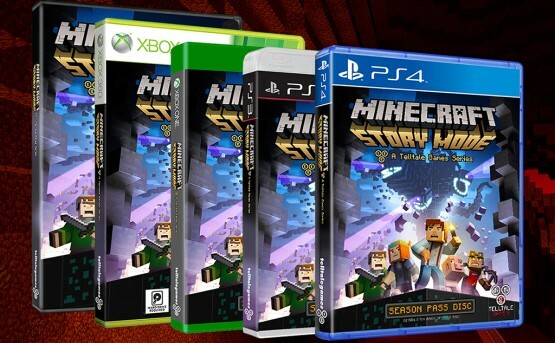 Hitting their Fall 2015 release window, Telltale Games announced today that the first episode of Minecraft: Story Mode will be available digitally worldwide on October 13 for PlayStation 4, PlayStation 3, Xbox One, Xbox 360, and PC/Mac, with an iOS/Android release on October 15. Additionally, a retail version of Minecraft: Story Mode is launching on October 27 in North America and October 30 in Europe for PS4, PS3, XB1, and 360 in both regions, with Europe also getting a retail PC version. Developed in partnership with our friends at Mojang, this all-ages adventure series kicks off a thrilling story full of many elements essential to the world of Minecraft, combined with Telltale’s trademark choice-based gameplay. There are plenty of exciting details we’ve been keeping under wraps, and we’re thrilled that players will soon be starting their own adventure through the Nether to the Farlands and beyond with Jesse and The Order of the Stone. Telltale also acknowledged the PlayStation Vita version of Story Mode by saying, “The season will also be coming to PS Vita – stay tuned for more details on exact dates.” A Wii U version is also in development.